The Elstead Amalia Small Single Bathroom Wall Light Is Inspired By A Vintage Shelf Candle Holder And Creates A Traditional Column Candle Look With A Sleek, Smooth Profile. The Cylindrical Glass Shade Of The Amalia Small Bathroom Wall Light From Feiss Lighting Sits Atop A Polished Chrome Finish Tapered Shelf Detail. 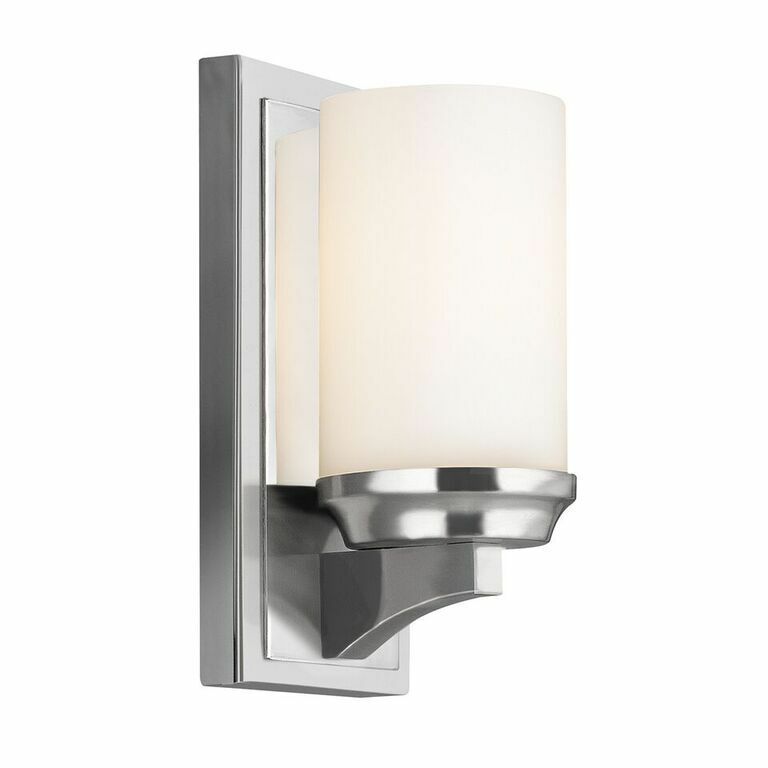 The Amalia Bathroom Wall Light Is IP44 Rated.